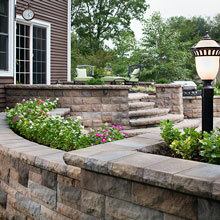 Retaining walls are vital features in your property. They are not only built to prevent possible soil erosion in the outdoor area but also installed to improve the aesthetic appeal of your property. You can also use the structures to create new functional outdoor spaces such as sitting areas, patios, and decks. 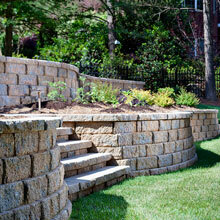 Your flower gardens and other plantings will also look great if they are contained in well-designed retaining walls. 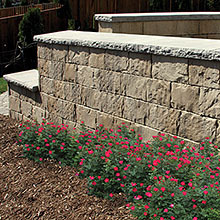 But before you start building any retaining wall in your landscape or property, make sure you have access to premium-quality wall blocks. 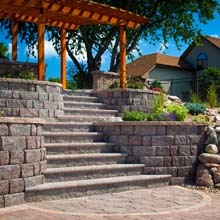 Get your products from trusted Michigan suppliers like us at Grahek's, Inc. We can help you build sturdy and stunning retaining walls by providing you with premium-quality retaining wall blocks from Belgard and other leading manufacturers. Call us at (231) 775-9362 for your orders. 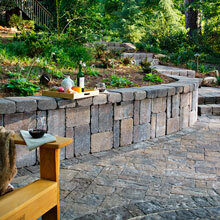 Why Choose Segmental Retaining Wall Blocks? 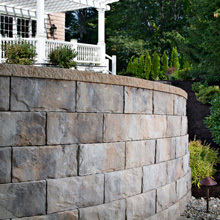 There are different types of materials that can be used for your retaining walls. 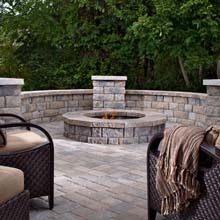 Your options include natural stones, concrete blocks, and segmental wall blocks. 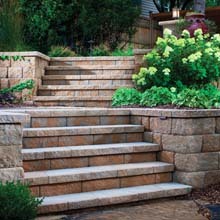 The latter is gaining popularity because of its excellent features, aesthetic appeal, and durability. 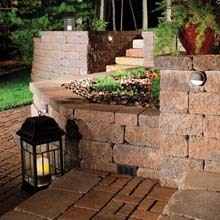 The segmental retaining wall blocks are made from the finest raw materials, which make them extremely durable masonry products. You can even build up to 50 feet walls without needing structural reinforcements. The segmental type is flexible and easy to install because of its interlocking block units. These innovative features will allow you or your contractor to complete the installation at a faster rate. It is also easy to create custom design that will suit your needs and preferences. 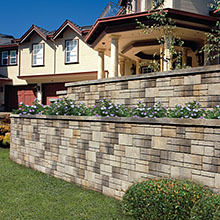 See our fine collection of segmental block retaining walls. code (displayed below) in the box.